One soft tissue is all it takes to show you care. Reach for gentle Kleenex Trusted Care Tissues for a friend, a stranger or yourself. Durable 2-ply tissues have a combination of softness, strength and absorbency that locks in moisture. 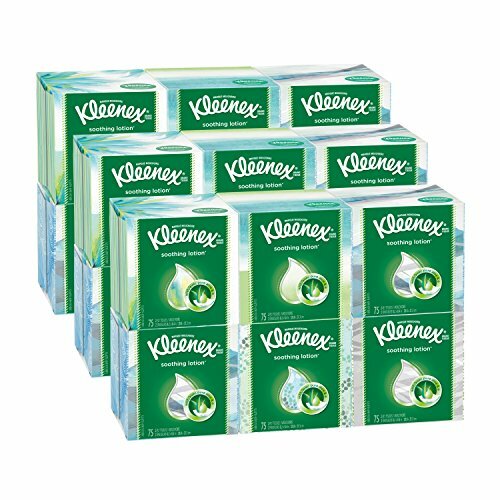 Our essential Kleenex facial tissues are perfect for makeup smudges, sniffles and sneezes, children’s messy faces and more. Just use and toss. Buy tissues in bulk and save with Subscribe & Save while keeping tissues on hand for family, company and yourself during cold and flu season, allergy season, back-to-school and holidays. And as always, Kleenex Pack come in a variety of colors and designs that blend beautifully into your home décor. Place Pack in the living room, kitchen, bathrooms, bedrooms and office. Kleenex disposable facial tissues have been there for happy tears and stuffy noses since 1924.